Around these parts we have strongly criticised Tory strategists for failing to nail the much-needed Parliamentary boundary changes in the coalition agreement - which was the Only Thing That Mattered (given that whoever got into power in 2010, in whatever combination, was going to sign up to a bit of austerity etc). So now, fellas: eye on the ball and fix the bloody boundaries ! Do it now! A quiet word to the DUP - lads, think of something realistic we can do for you, and join us in this little Bill we have up our sleeves, anything you want really - and Get It Done ! Now ! Yes, there are other consitutional matters that need serious attention in the coming Parliament, and I trust that wise heads have thought them through carefully. There is some intelligent magnanimity to be shown to the Scots, and a glorious opportunity for some intelligent, win-win devo-localism across the land. But that can wait. Fix The Boundaries Now ! There may never be a better opportunity. Back to celebrating: Croydon Central ... 165 votes, haha. Ed Davey, heheheh. Double celebration as the Balls have been squished! Great to see Ed Davey out. Might we finally get an energy policy that will keep the lights on! Yes, boundary reforms and devo-total. Labour cannot win in 2020. Happy days. Twice as many people voted UKIP as voted SNP. And *still* the Tories won on vote share and look set for a slim majority. So much for the left-wing lurch. "I trust that wise heads have thought them through carefully"
Well, I was right about the quiet bat people. But very wrong about the SNP, unfortunately. Fair play to Cameron, Osborne and Shapps - they truly are the heirs to Blair, Brown and Mandelson. Have to say, the election discussions on C@W have been very good. Thank you to our hosts and fellow readers. It's been a good rough an tumble. Boundary changes, absolutely. However, there are other equally serious, matters that I hope the new government will address; such as removal of all socialist placemen throughout the government and civil service bodies, implementation of the bonfire of the quangos that was promised 5 years ago, repeal of the Climate Change act, reduction in the overall number of MPs. I think there is a need to also evaluate what changes should or not, be made to the electoral process; a need to produce ID in order to vote, and the use of postal voting only in very special cases. The Human Rights act is also something I recall the conservatives saying they'd do something about; I hope they can keep their word on that matter. As a matter for the country's future sanity, I would hope, too, that they do all they can to ensure that the labour party remains emasculated for generations to come. Oh, and on glaring omission - I hope that they now take the opportunity to do something about the bbc; such as restricting its output, but preferably privatising all of it and making it a subscription service so we can all watch other tv stations without having to pay the bbc protection money in order to do so. Much rejoicing by the Tories, but a predicted "majority" of 2? Good luck with making that work. 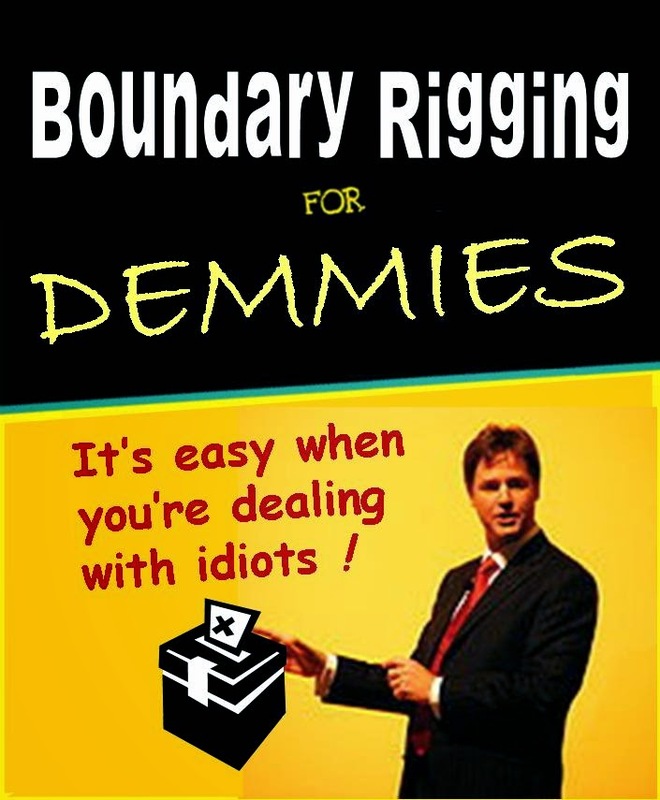 "Boundary changes, absolutely. However, there are other equally serious, matters that I hope the new government will address; such as removal of all socialist placemen throughout the government and civil service bodies, implementation of the bonfire of the quangos that was promised 5 years ago, repeal of the Climate Change act, reduction in the overall number of MPs. I think there is a need to also evaluate what changes should or not, be made to the electoral process; a need to produce ID in order to vote, and the use of postal voting only in very special cases. The Human Rights act is also something I recall the conservatives saying they'd do something about; I hope they can keep their word on that matter. As a matter for the country's future sanity, I would hope, too, that they do all they can to ensure that the labour party remains emasculated for generations to come." exterminate [euphemism] and disinstall from the administration - Common Purpose - make it illegal. end Muslim student associations dominating student unions. Tell the Saud's to foxtrot oscar. Sort the police out in Sheffield and Manchester, Leeds and Bradford..... everywhere in fact. Get dave to become a conservative - NOW. I'm not happy. We voted tactically and it didn't work. Meantime we'd voted for a muppet we despise. Bah! BQ I don't want to gloat but I did predict it yesterday...not quite a landslide but not bad. People must be more sensible than they're given credit for. What's more he and GO can have a free rein now having got rid of Nick Clegg and Danny Alexander from the gang of 4. 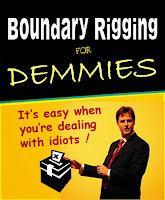 Boundary changes are completely inconsequential when the SNP have taken over Scotland. Although the Scots did not vote for independence, as I had expected, Scotland will be independent, in fact if not in name, within 5/10 years because of this election and Cameron's previous give-away. The Tories have no legitimacy in Scotland and the SNP has no legitimacy in the rest of the UK. All the Tory supporters expecting Cameron to be what UKIP actually is, are in for a nasty shock. Cameron is as oleaginous and social-democratic now as before but worse, he is confirmed in his views by this apparent endorsement. People will regret not voting for what they believe in. Defence will be neglected; the 2008 Climate Change Act will be enthusiastically pursued; bloated DfID will carry on blighting poor people's lives; Common Purpose supported; anyone criticising immigration, extremism or grooming will be deemed racist; the EU referendum (if it ever sees the light of day) will be a sham; big business will get away with it whilst the little man is pursued for all he has; etc etc. Possibly, and this election result makes it more likely Scots would vote 'yes' in another referendum. But I'm not convinced Scots will vote to leave the sterling zone. They still want to have their cake and eat it. Interesting that Marr et al. last night were saying that full fiscal autonomy would be viewed in Scotland as punishment. These long lists of 'what must be done. It was messing around with EVERY single department and office in the last parliament that almost doomed the Tories. Budgie - well said that man. I am very glad nott o have a Milliband-SNP disaster which I really feared yesterday. But still, this is a second-rate result and all the real issues, bar sScotland, have been swept under the carpet where the Tories will hope they remain. "Twice as many people voted UKIP as voted SNP. And *still* the Tories won on vote share and look set for a slim majority. So much for the left-wing lurch." I think the Tories ought to be very careful about rejoicing. Many or their kin are disenfranchised. Many returned to the Tory fold only because the Tories and their press scared the wits out of them about the SNP/Lab prospect. I expect a great many people who voted Tory actually wanted to vote UKIP. It would be crass of the Tories to claim that this election result is an explosion of support for their party. It isn't. The Tories winning despite the numbers of UKIP votes is an indictment of our system - not an endorsement of their party. I would be very angry if I'd given up my UKIP vote to lend it to the Tories yesterday and to find them celebrating without acknowledging my sacrifice. I am so glad I didn't and all Eurosceptics here should thank us for actually carrying out our threat knowingly against our own best interests. The real UKIP vote is what empowers the Tory Eurosceptics. Already Ukippers' votes seem to be abused and used as a reason to able to smirk at Nigel Farage. "So what of your party now, then !" These people's sacrifices should be acknowledged forthwith and they should be thanked above all others for it. The referendum promise to them must honoured - in full and even beyond. Some proper Eurosceptic MPs moved to the front bench in gratitude. Of course, none of this will happen. If you flipped from UKIP in the hope that you'll be treated with some respect then I'm afraid you've been suckered. You've just given a mandate for our final absorption into the EU. I also think it's fair to state that there are more than the 3.7 million UKIP voters who are disenfranchised. There are the several million UKIP fanciers who bottled it and just sold their arses to the Tory party for nothing. E-K, I now feel naked, sad and guilty. The way for UKIP to prosper is to follow the Liberal model: win seats on County and City councils, establish themselves in second place in Parliamentary constituencies, and then get people voting tactically for them, instead of against. Since they already have a bundle of second places, they are part way there already. For the record, I kept true to my beliefs and voted UKIP, despite living in a Tory safe seat; however, there were over 4000 people who must have felt the same as me. If I was the returned Tory MP, I'd be taking note of this significant minority of disenfranchised voters but I won't be holding my breath waiting for these needed sensible policy changes to be made. Spent 24 hours locked in a hall with the kippers and you could see the anticipation change to frustration, to resignation and back to anticipation. They reckon that if Europe is not sorted there will be a few more crossing the floor. Where this is correct I cannot say. After all I did vote LibDem - and may be delusional. - do you take heart from the SNP's success (on a nationalist kick)? Nick - I hope it's a woman, like Nicola Sturgeon... or Lilith. Quietly relieved and happy, best of a bad job. PS, Most of us didn't actually want Farage as a PM. A shift of the political centre slightly to the right is all. Nick Drew maintains that UKIP "confirms my suspicion about uncaring ignorant Britain the moment you step outside of London" or similar words to the same effect. Kippers, stop wallowing! You did well! *And* you didn't usher in a Miligovernment. The arithmetic suggests a shift to the "right", and we will get a referendum. Yeah a referendum that EU migrants are allowed to vote in? ND, the words are attributed to a Vince Cable whinge: "Result confirms my suspicion about uncaring ignorant Britain the moment you step outside of London." but it just seemed so appropriate to your anti-UKIP sneers and your inability to understand that nationalism exists in all countries. I have attributed in error above. The claim "Result confirms my suspicion about uncaring ignorant Britain the moment you step outside of London." is by Gaia Vince (who she?) not Vince Cable. My apologies to Mr Cable, of course. But it still seems hilarious to me. Blue - we'll get the referendum... and the bias... and migrant voters... and the scare mongering and propagander of this election x10. 1 seat for well in excess of 4 million people (if we include reluctant Tory voters) is pitiful. 5 seats (incl Farage) would have seemed a minimum for something resembling a reasonable level of representation. Not too much to ask surely ? The Tories simply MUST respect and honour what UKIP sympathisers have done for them. There must be no triumphalism nor sneering at Farage or else their reluctant supporters will be most annoyed. There must be no assumption either that this was an endorsement of Tory policy rather than a rejection of leftist ones. 2017 will be a YES and then it's all over. Well, what's good for the goose is good for the propagander. That's what I say. EK, is that like proper tea is theft? Budgie - Not if it's in best china, only if mugged.